Legendary actor Jeff Stewart took a break from his phenomenal feature film success that's included him winning best actor at 2011 Manhattan Film Festival to return to Carrot Napper Productions for two commissioned short radio plays. Our soon to be aired 'Double Jeff' recordings cast Jeff in two very contrasting roles. One very serious http://www.dvmen.co.uk/ and one very funny! 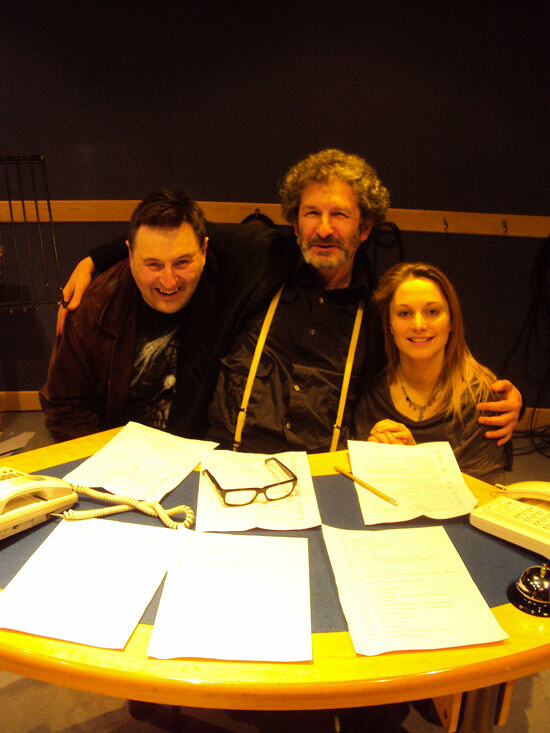 King of the microphone: Jeff Stewart (centre) alongside writer Keith Large and actress Leah Georges at our 'Double Jeff' recordings at The Sound House studios in London. 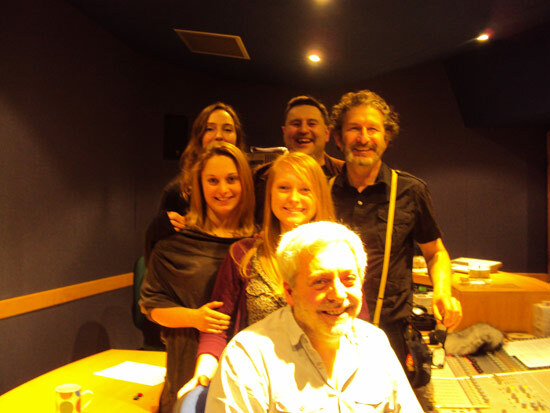 Top Team: Sound House studio engineer Wilfredo Acosta fronts our 'Double Jeff' recordings with actresses Carrie Hill (front), Leah Georges (middle) and Kerry Fitzgerald (back), along with the writer of both plays Keith Large and the legendary Jeff Stewart.